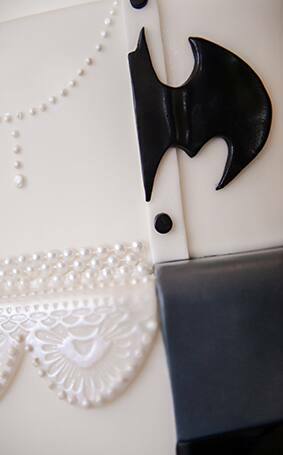 I've seen lots of fun wedding day surprises- but this one might take the cake (pun intended)! 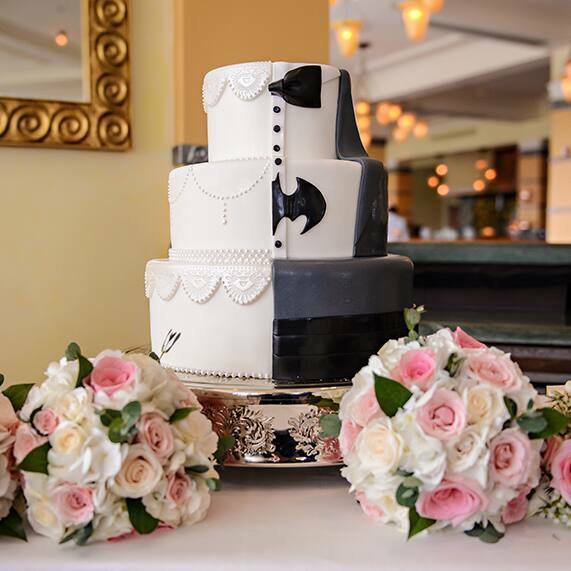 This Walt Disney World bride surprised her groom with a homage to one of his favorite super heroes, Batman. 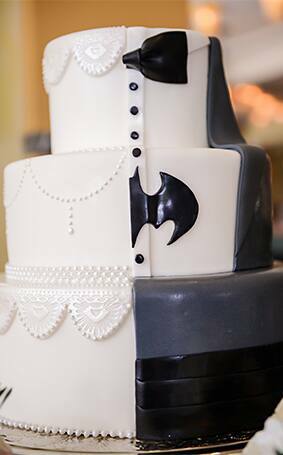 Look closely and you'll notice the bat symbol right on the tuxedo. I have a feeling this couple will definitely be perfect partners in crime.